After victory at Japans’ Rally Hokkaido, last year’s European Rally Champion Jan Kopecký from the Czech Republic added another FIA title to his name by winning the 2014 FIA Asia Pacific Rally Championship. Kopecký’s co-driver Parvel Dresler won the co-driver’s and MRF Skoda team secured the manufacturer’s title for a third time and Team’s Trophy. Japan’s Yuya Sumiyama in a Group N Cusco Subaru with co-driver Naoki Kase, was second overall in China and with two wins and a second place won the four-round FIA Asia Cup for a record third time, “Asia Cup champion and overall 2nd position, very very happy and good result for the team. The conditions were very slippery and rough condition so we’re lucky”, said Sumiyama at final service. Sumiyama’s Cusco Racing team have won the Asia Cup title four years in a row and they backed that up with New Zealand driver Mike Young and co-driver Malcolm Read winning the APRC Production Cup in a Cusco prepared Proton Satria. 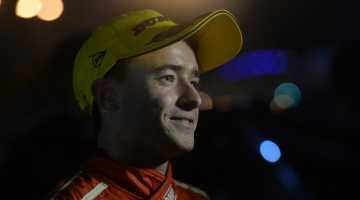 Young was the only driver to finish all six events in 2014 and in doing so secured second place in the FIA APRC drivers points, the Junior, Two-wheel drive and Production Cups. “Its amazing for our team and Cusco, the boys worked so well, not even had a mechanical (problem) this year – we’re over the moon! Malcolm’s (Read) done an awesome job all year, kept me on my toes and in the grove so we’re really happy. Consistency has rewarded us with second in the championship in a 1.6 Proton, against all the four-wheel drive and S2000 cars it’s just awesome”. 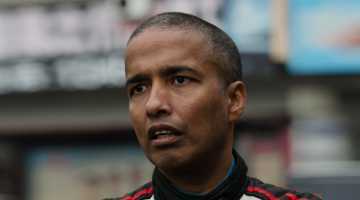 Unfortunately for last year’s drivers champion Gaurav Gill from India it was a season to forget. 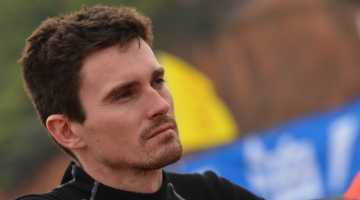 Gill won the first event in New Zealand by 12 seconds after an epic battle with new team-mate Kopecký, but things started to unravel in New Caledonia with a costly off, that demoted Gill to second place. Worse was to follow in Australia with a huge crash that wrote-off the Racetorque owned Skoda Fabia – luckily Gill and co-driver Glenn Macneall were unhurt. Gill won the Malaysian Rally and this time it was Kopecký’s turn to retire (with suspension damage) meaning the championship was evenly poised heading to Japan. But then Gill crashed again while leading and that was it – game over. Other contenders in 2014 included Chinese driver Xun Ju who entered a privately run Skoda Fabia S2000, finishing on the podium in Australia but conflicting dates and regulations with the Chinese Rally Championship meant Xun could only enter four events. Australia’s Mark Pedder was a welcome entry in the 2014 APRC driving a Racetorque prepared Mitsubishi Evo 10. With three podium finishes Pedder was a real contender for the driver’s title and the Group N Production Cup, however a DNF in New Caledonia and China dropped Pedder to 5th in the points. 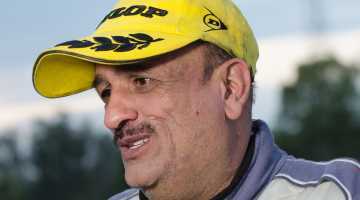 After a promising year in 2013 as a title contender Sanjay Takale moved to a Cusco Subaru Impreza for 2014, but an engine problems led to retirement in New Caledonia and being off the pace in Australia. Takale rolled the Subaru in Malaysia and although he finished the event never recovered the lost time. It was in Japan where Takale finally found his true form, swopping times with Xun and team-mate Young – ending his APRC campaign on a high note and promising to return in 2015. The APRC’s Pacific and Asia Cup’s continue to be an important addition to the series and while the Pacific Cup was won easily by Kopecký, in the Asia based events there was a lot more competition and a bunch of new competitors. Starting at the Malaysian Rally, eight driver registered for the Asia Cup, run over four events and where points count for the best three events. Sumiyama was second to Gill in Malaysia and took maximum points in Japan and China – after that no-one could catch ‘Sumi’ with the points he’d accumulated. Thailand Rally was to have been the finale for the Asia Cup but cancelled its APRC event at the last minute due to financial difficulties and therefore second place went to Dinesh Derahagoda from Sri Lanka in the EZY Racing Mitsubishi. It was just reward for Deheragoda whose Asia Cup campaign was fraught with mechanical difficulties, yet somehow he and the EZY Racing Mitsubishi made it to the finish of all three events they started, picking up valuable points at each. Japan’s Tomehide Hasegawa in the Hasepro Mitsubishi would have been a contender too if Thailand Rally had run. Opting not to compete in China meant Hasegawa only competed in two events yet still managed to finish sixth in the points. The 2015 FIA Asia Pacific Rally Championship calendar is to be confirmed by the FIA and released in December. Click here to view the final 2014 season results. Story by Brian Young. Photos by apsm.tv.